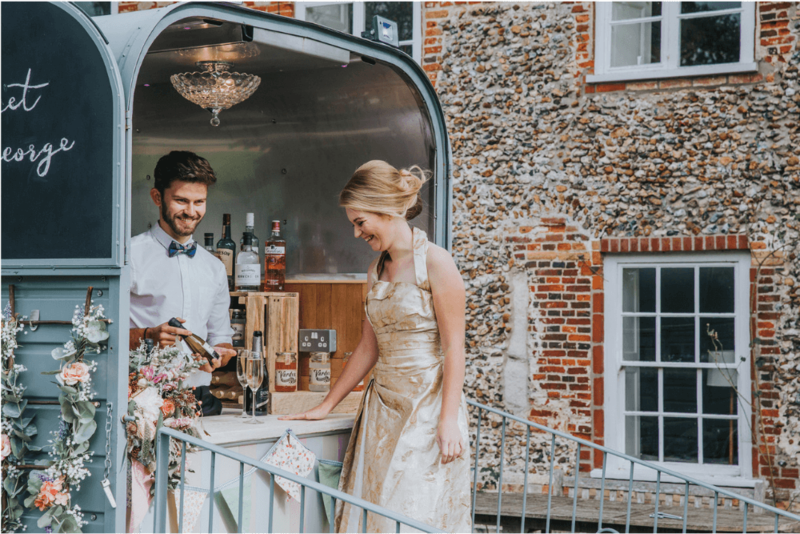 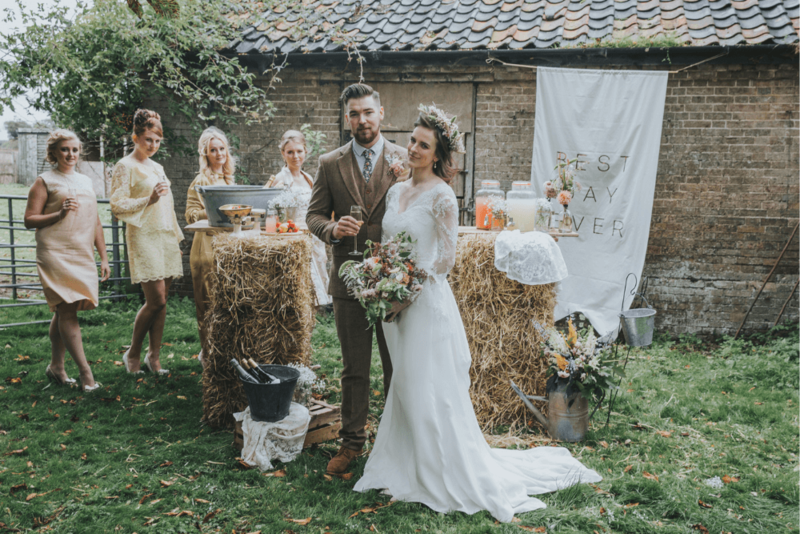 Last year I teamed up with a fabulous team of wedding suppliers and descended upon College Farm just a few miles from my home in Dereham. 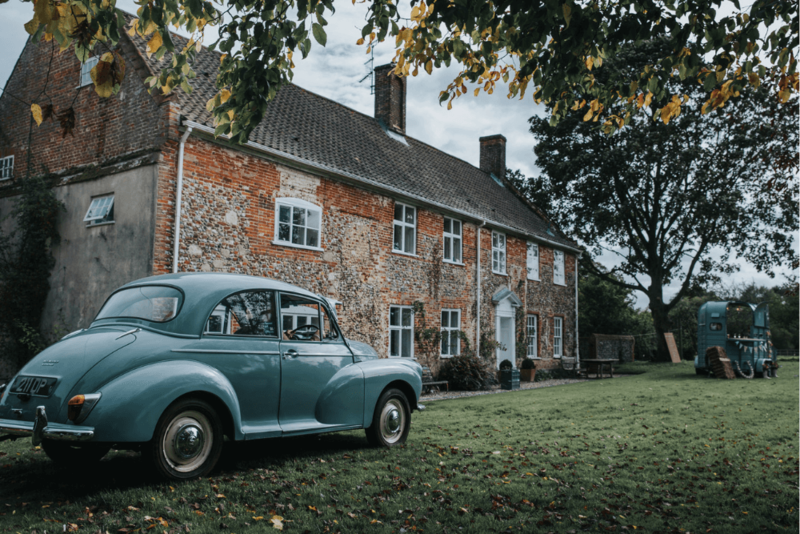 It was a cool, clear day, perfect for a photo shoot with the super talented Esther Wild Photographer in the wonderful Norfolk countryside. 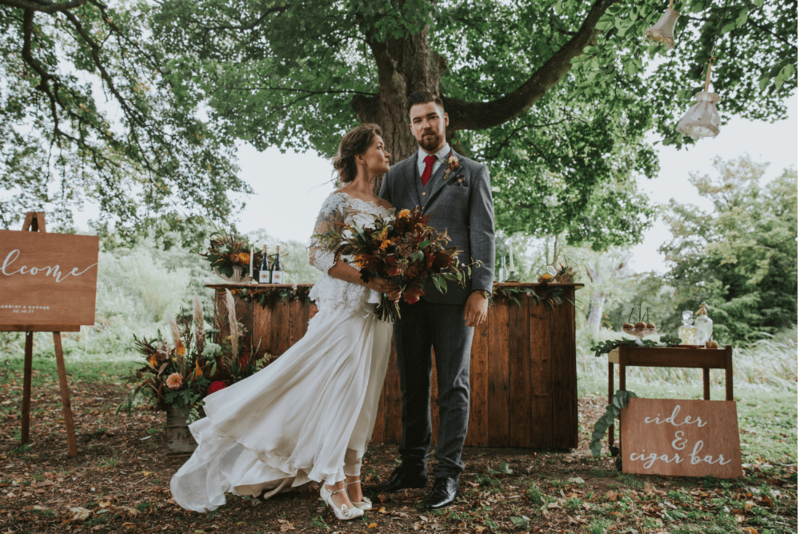 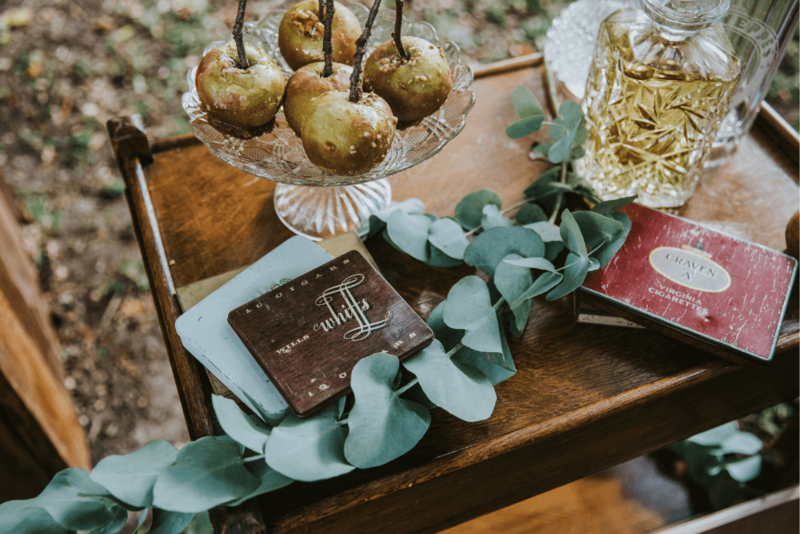 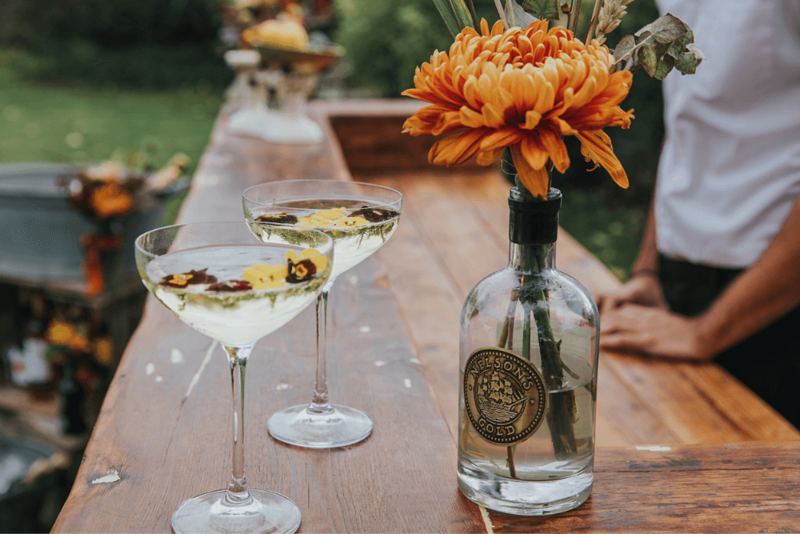 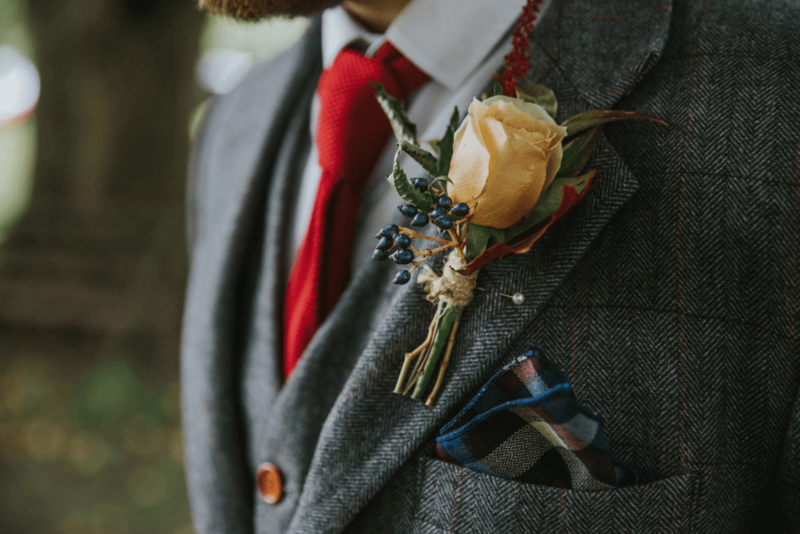 College Farm is a beautiful Medieval House situated in 15 acres of lawns and woodland, they only hold a few weddings a year giving each couple the freedom to relax and plan their day exactly as they want. 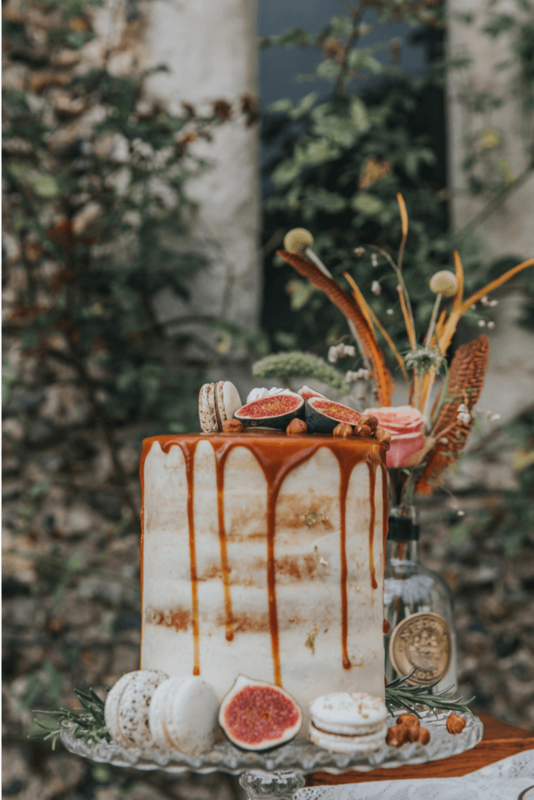 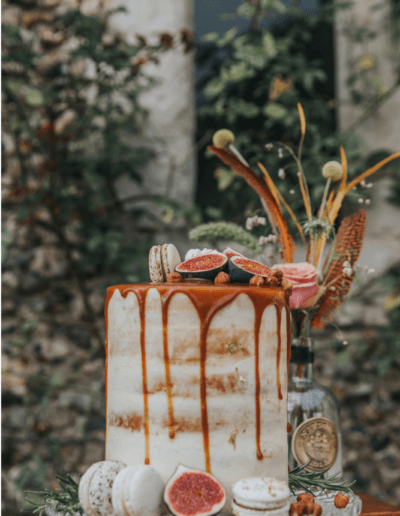 I added dishes of butterscotch meringue kisses and praline macarons to the table which was adorned with a beautiful fresh flower garland in gorgeous rust, plum and sage tones by Oops A Daisy Florist, Norwich. 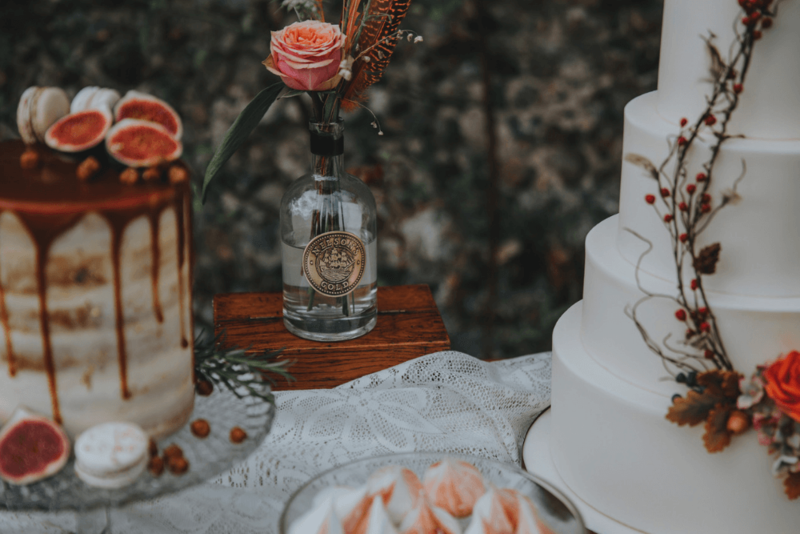 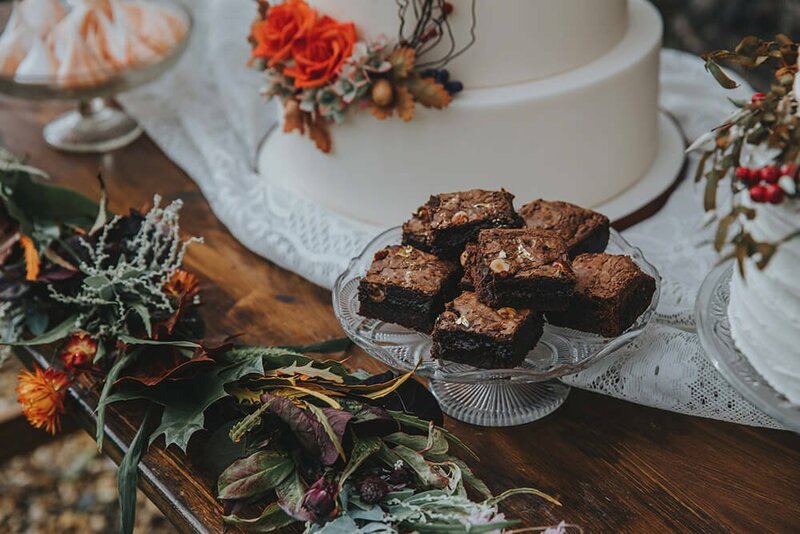 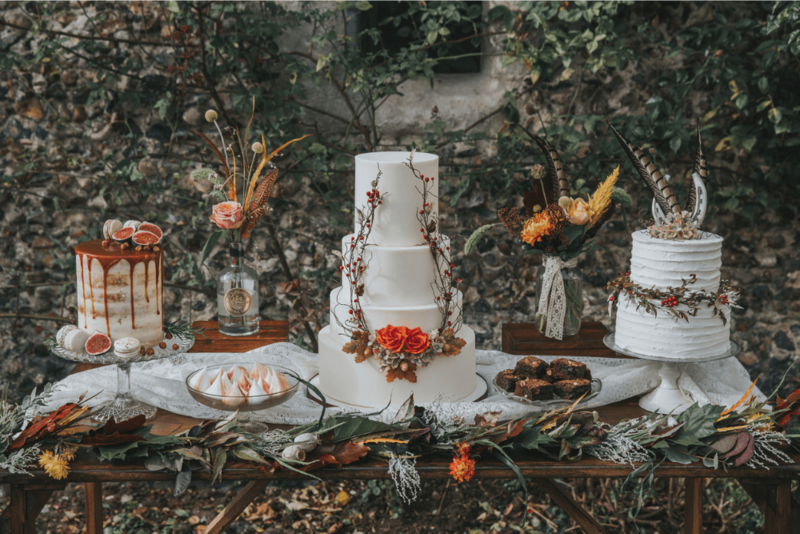 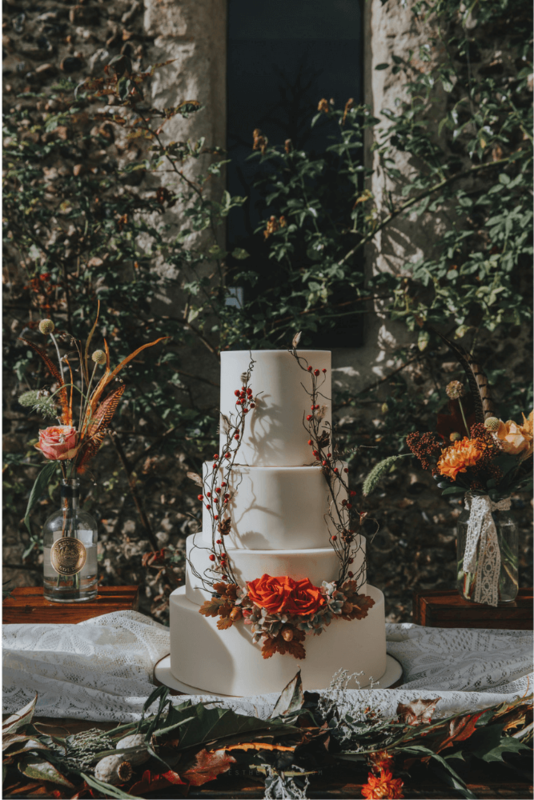 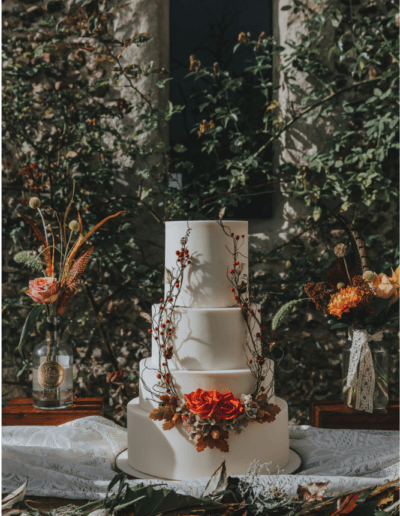 The center piece of this delicious dessert table was a four tier wedding cake with handmade ‘twigs’ roses, berries, leaves, hydrangeas and acorns all created from sugar – not gathered from the muddy border of the garden! 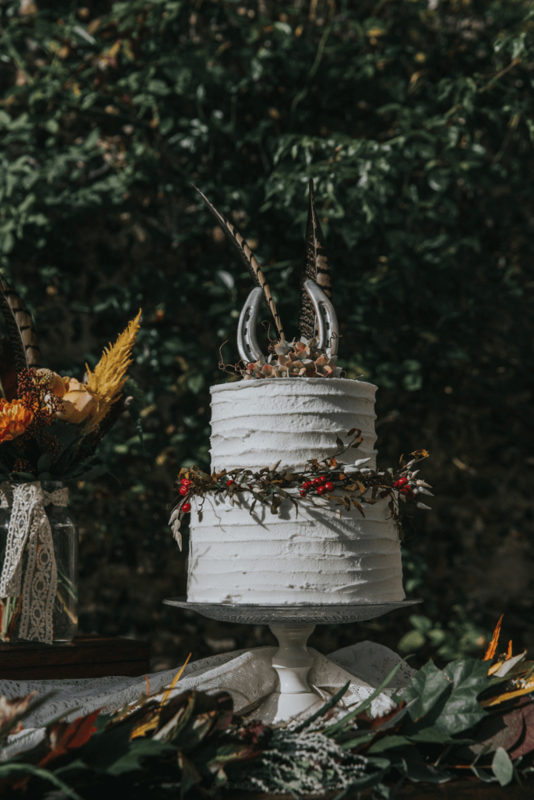 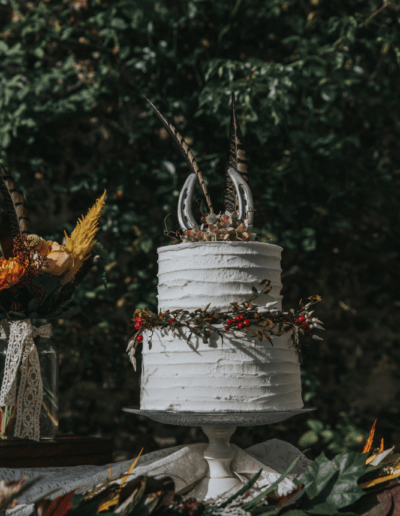 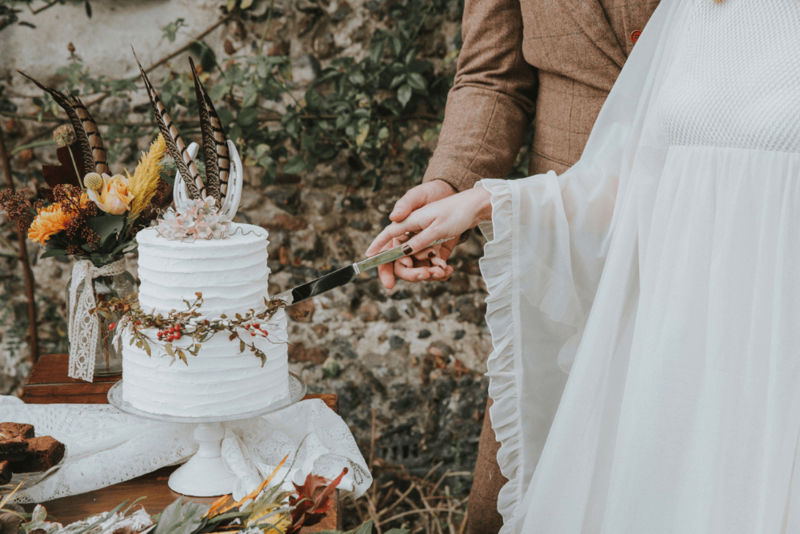 And as a nod to the countryside location I added a sugar horseshoe to the top of a two tier buttercream cake and a couple of pheasant feathers because, well, this is Norfolk! 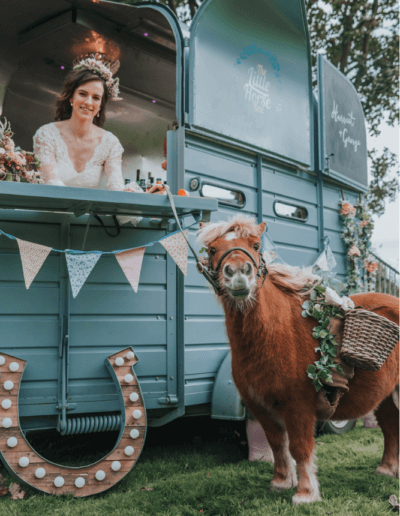 ….and yes, that’s a pony!! 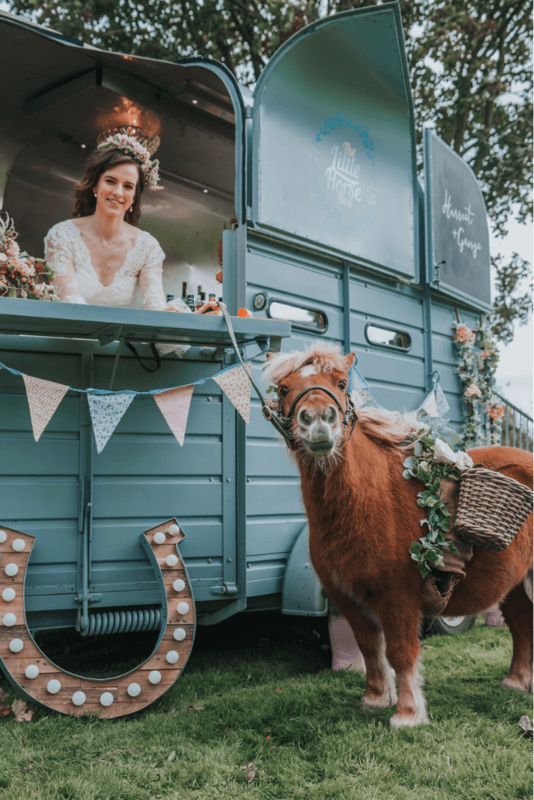 Mr Jack Brock, confetti pony and he’s getting quite a name for himself, hanging around bars, photo bombing and generally getting lots of fuss from everyone he meets!